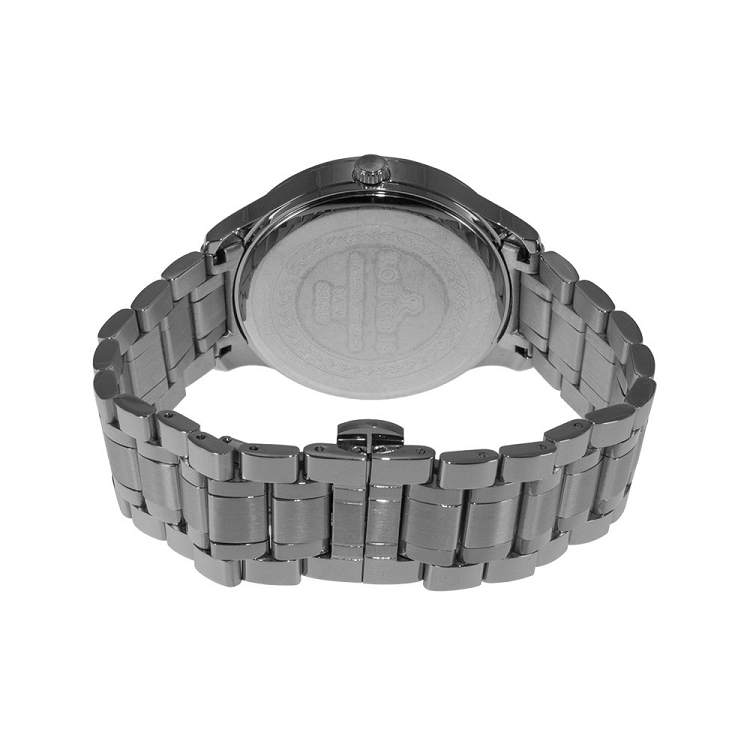 A bold and beautiful black textured dial highlights this watch face. 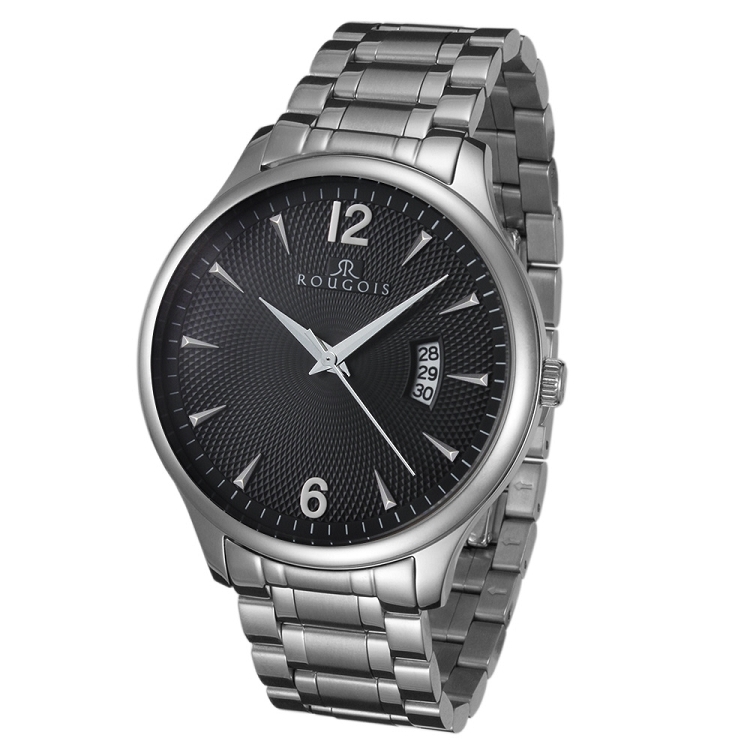 Accentuated silver-plated numbers and ticks for hour marks and minute marks allow for a minimal but functional look. 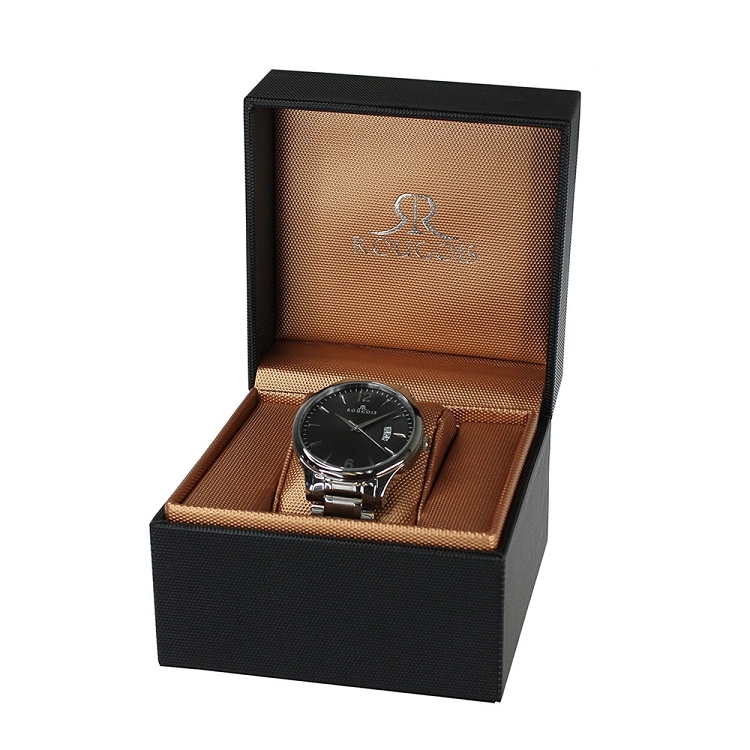 The right side of the watch allows for you to keep track of days so you are always where you need to be. 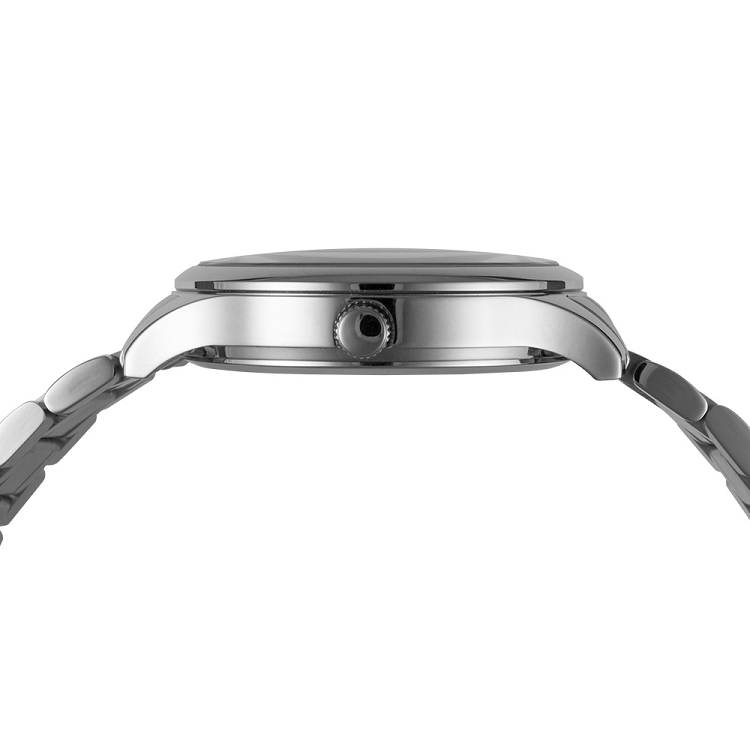 A subtle geometric design in the background of the faceplate gives a modish look to the watch. Silver links and a silver face outline allows for a timeless and unforgettable look so you can wear this watch for years to come.